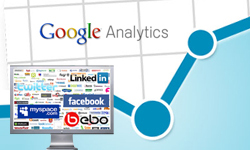 Google Analytics Provides New Social Media Reporting! It’s not too often that I’m forced to choose between the categories of “Website Analytics” and “Social Media Marketing” for one of our Rise to the Top blog posts. That said determining the value and ROI of social media has been a problem that’s plagued marketers since the medium’s inception. Recent figures demonstrate that CMOs spend 7.4% of their total marketing budgets on social media with this number expected to rise to 10.8% this year. Whether that’s money that goes directly into social advertising or the people who manage social, it’s a sizable amount; and as social budgets get bigger, so will the expected ROI. Google has decided to address this common concern by integrating an unprecedented amount of social network data into its extremely popular Google Analytics product. 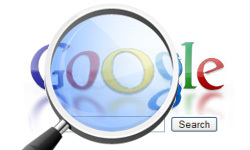 In a blog post earlier today, Google announced changes to the platform that include: an Overview Report (to see social media’s influence on conversions); Social Sources (displays engagement metrics for different social networks); Social Plugins (finds your most shared content); and Activity Stream (to find out what’s happening off of your website). Social media is often an upper funnel touch point that traditional reporting and metrics find hard to track. It’s difficult as social media marketers to tell which channels are the most effective at driving conversions. Where we’re really good at things like growing a fanbase, creating content and measuring engagement most social media managers have a harder time with the ROI side of the equation because the measurement tools simply aren’t there. Google’s announcement takes us one step closer to understanding social’s ROI and gives us actionable insights when certain platforms aren’t effective and of course rewards us when social media contributes to conversions. Above we see that there are a total of 2,375 conversions that came directly from a social source e.g. a Facebook ad or branded site. 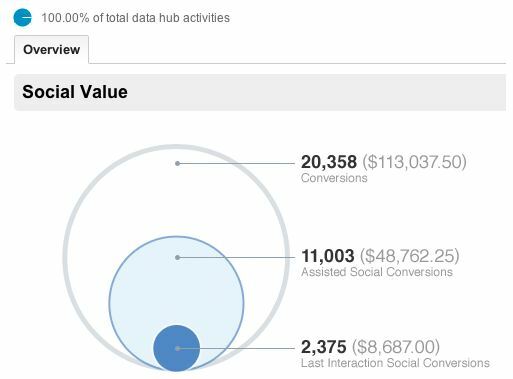 The second figure is where things get interesting: “Assisted Social Conversions.” This number represents people who have converted and have touched a social media property along the way. Having social media buttons on your blog is a great starting point on the path of discovering where your content is being shared. The new Social Plugin Report takes this one step further. This is perfect for determining your best content in hopes of creating content with similar themes that people will find useful and want to share. You can use this in addition to measuring unique views per post. This report can also help you test different layouts and placements of sharing buttons to figure out which perform best. This report allows you to monitor conversations about your brand that take place away from your social media properties. Previously this was the domain of paid social media monitoring tools like Radian6, now it’s available in Google Analytics! This only applies to content that’s shared publicly (crawlable, as with Radian6). Currently this data is restricted to Google’s Social Data Hub partners which exclude Facebook and Twitter, but include Reddit, Meetup and of course Google+. 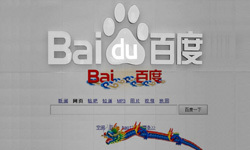 The new social reports will be rolled out to all users over the next few weeks (beginning March 20th 2012). You’ll be able to find it under the Standard Reporting Tab. 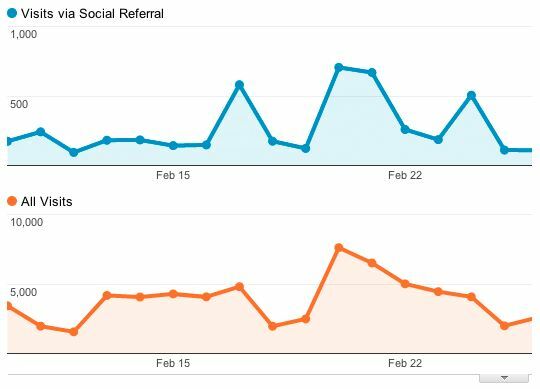 In the past, I had the impression that Google Analytics did not record all social media visit as such. The number of direct visits seemed to be high. Today I have tos ay that this tool has become more complex (even though Google hides some information related to SEO). I have not been using this social media reporting part of Google Analytics yet. But, I think that it could help webmasters have some data to help them measure how effective their social media campaigns are. Social Media is definitely the future of Internet Marketing. Google’s integration of it’s Analytics tool with Social Media definitely proves this point. This will definitely help us Internet Marketers greatly. Google analytics is great for social media tracking and also finding out where your visitors are coming from on your website and ways to improve it! Thanks very much Gunjan, glad to hear that you enjoyed it! I hope Google presses for more Facebook and Twitter integration soon; nonetheless, this is a great start. Thanks Steve, very interesting read.